The above normal temperatures from July and August were replaced by temperatures near normal for September. September was also dry as precipitation for the month was below to well below normal. 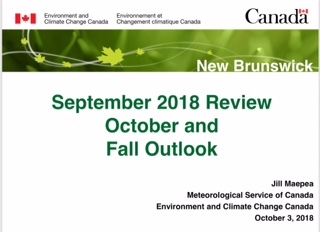 See all the details in the attached final report for September and the outlook for fall.